Subscription boxes are always full of surprises and happiness, isn't it? 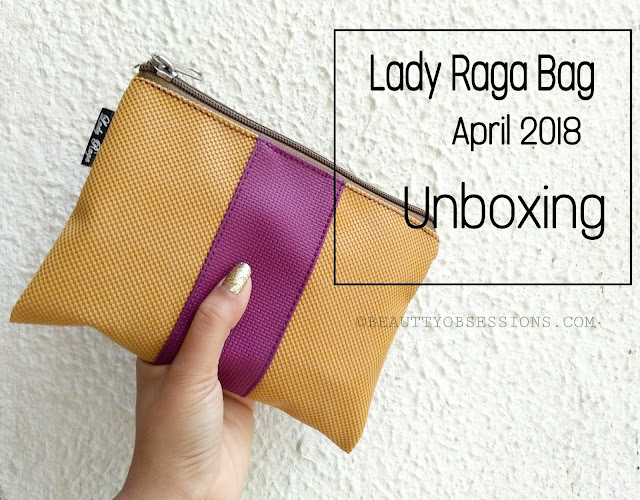 Recently I came across a new subscription box, though it is not new to market.. Well, I am talking about the Lady Raga bag.. I was super excited to receive the April edition bag.. Yesterday I received the package and very thrilled to unboxing here for all of you. 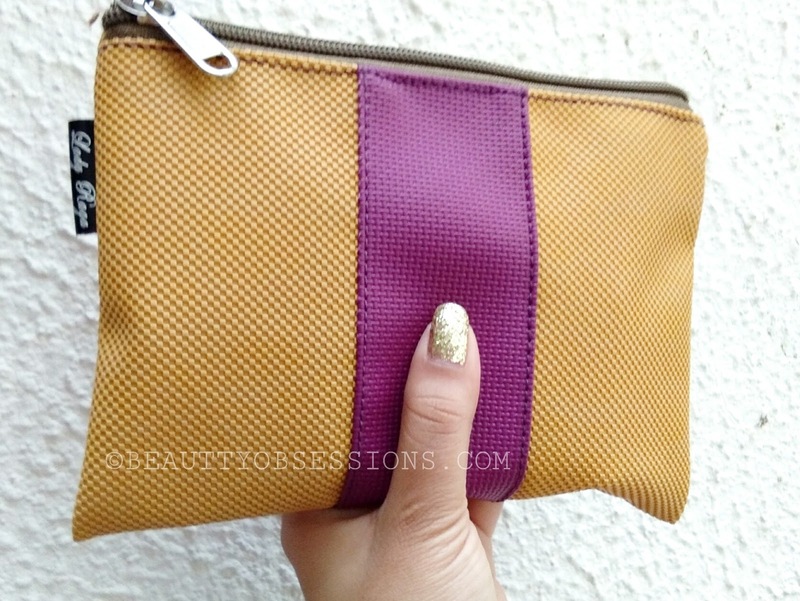 First have a look at the beautiful mustard colour bag. I am loving the texture over it and quality of the material. The bag is of really good quality. Let's jump onto the stuffs inside.. 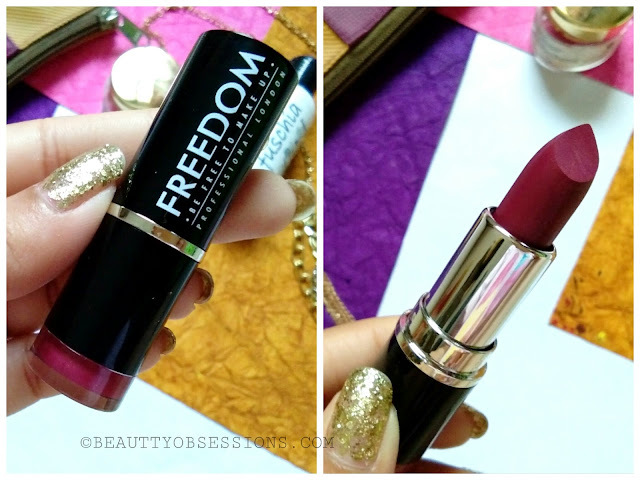 The first product caught my eyes is the Freedom London Makeup Pro lipstick.. I got the shade 119 Adorn (Rs450/-). 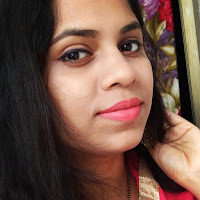 I haven't tried any product from this brand yet and totally loving to try out the lipstick first. The dark plum-ish shade is looking awesome on me.. 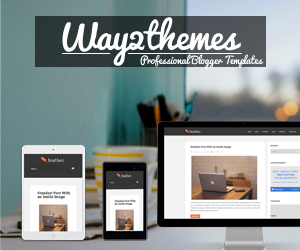 The texture and quality is very nice. Will do a separate post on it really soon. 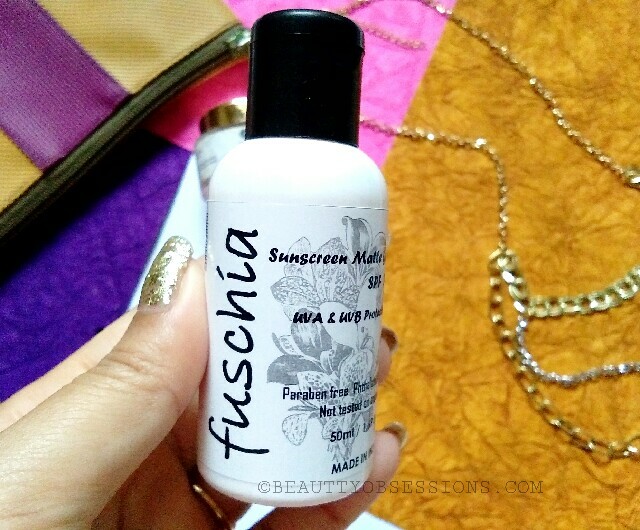 The next product is Fuschia sunblock gel SPF 30 UVA and UVB. This is Rs450/- for 50gm. of product. 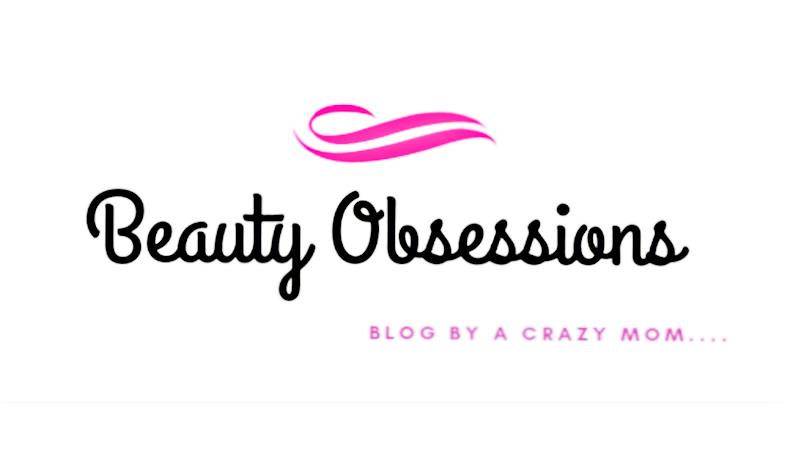 I love fuschia as a brand and have tried few other stuffs from the brand earlier. Again really excited to try this out. 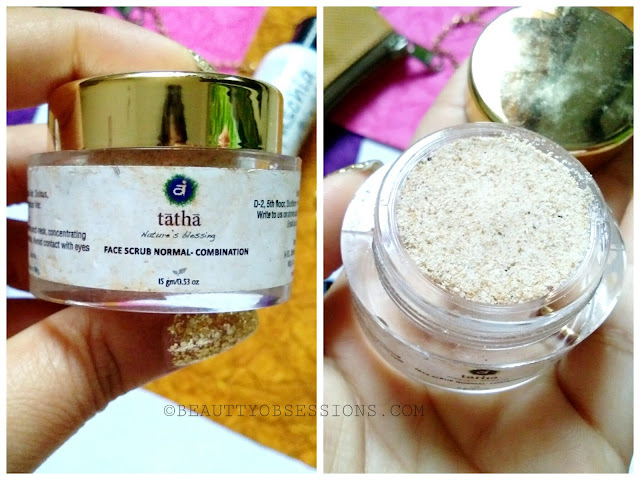 The third product is face scrub from the brand Tatha. Have heard really good opinions for this brand but haven't tried yet. The face scrub is looking good, will share my view after trying out. This is for Rs210/- for 15gm. 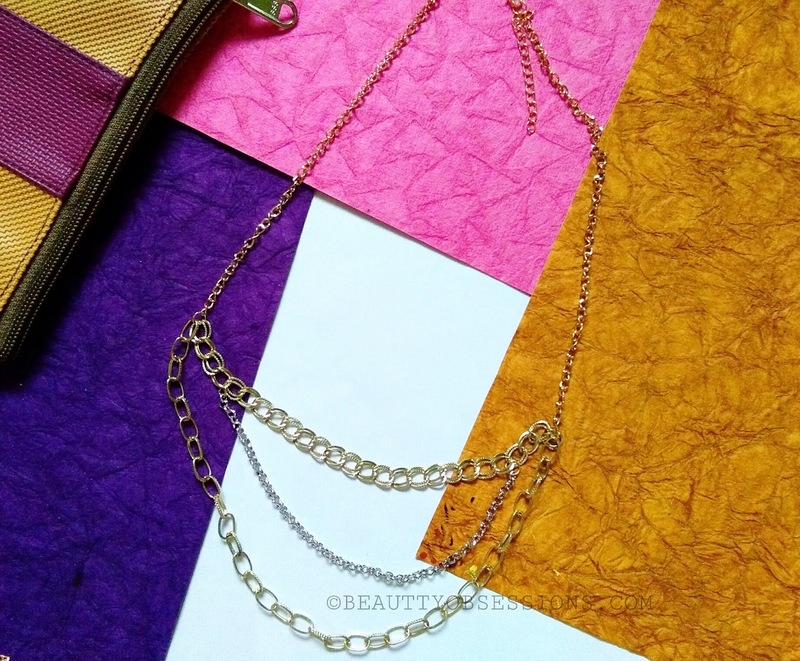 Then the fourth product is a long chain necklace.. I love the design and quality is again awesome. Now the exciting part is there is a surprise gift as well inside the bag . 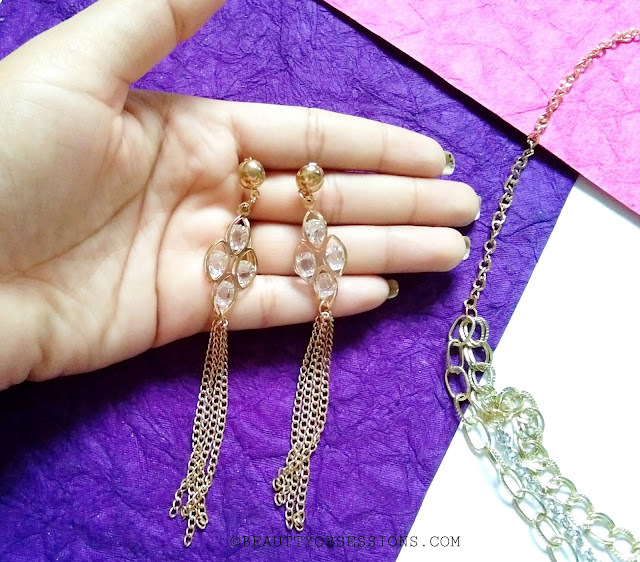 These long dangles I got as a surprise and totally loving these . 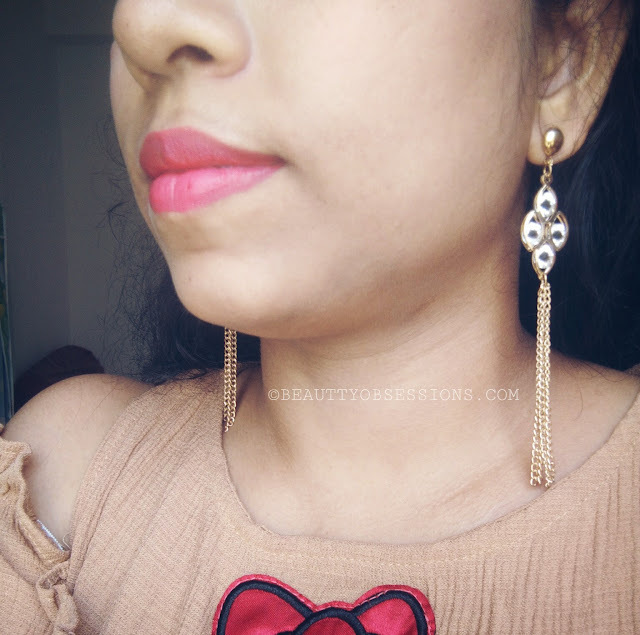 Intotal we are getting products around worth 1500/- and a surprise gift by paying only Rs555/- .. I think this April edition Lady Raga bag is a steal deal to grab. Don't waste time and place your order soon before it will go stock out. I like all the products you have received - especially the earrings. It is an interesting subscription. Loved the mix of products. Definitely going to get one soon. 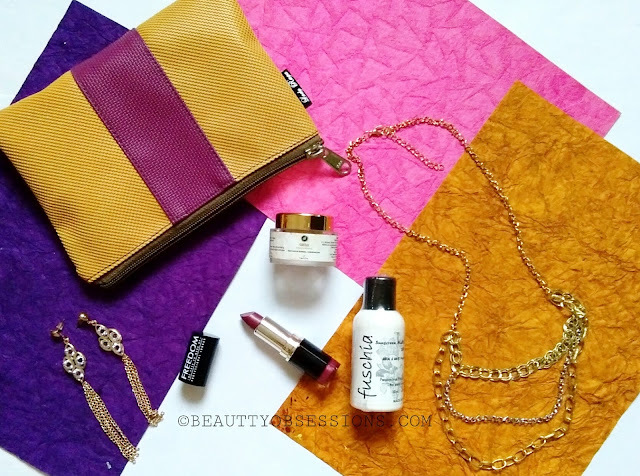 This Month's Lady Raga bag got some interesting products. Loved your review ! All of these products are too good. The errings are really fancy and unique. This looks great. You wrote an informative blog post. I would love to gift it to someone special. I like subscription boxes and this is a good selection. The earrings are looking nice.